It is a gorgeous, sunny day in Utah, perfect for introducing you to a quilt I made last night (literally, during the night): "Easy to Please". 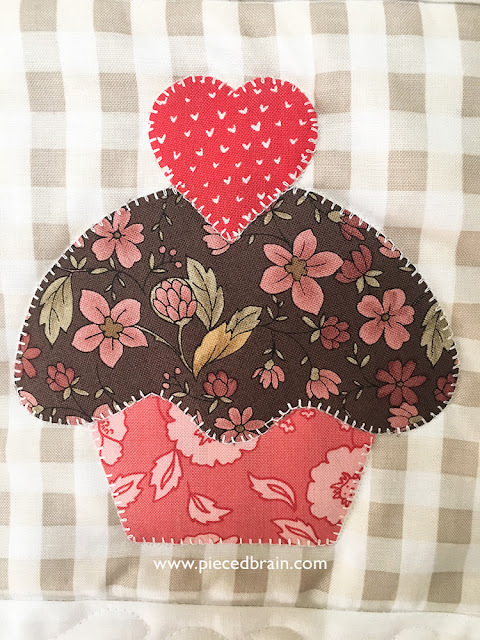 I came up with this name as I was machine appliqueing the shapes: chocolate cupcakes, flowers, and hearts, which is simply all I need (Can you relate?). If you cannot give me sweets, BE sweet to me and I will be singing. It measures about 26" x 26", a size suitable for a wall hanging or a table topper. It was pieced with Aurifil 50 wt white thread, and quilted with Aurifil monofilament/white thread. The design is of the 'design-as-you-go' type, with no planning whatsoever, so that in the end even I was surprised with how it looked! The shapes were quickly traced onto fusible web with the help of a light box, and grouped by theme. After cutting them and fusing them to the back of each scrap of fabric (I was glad to have used up lots of them! 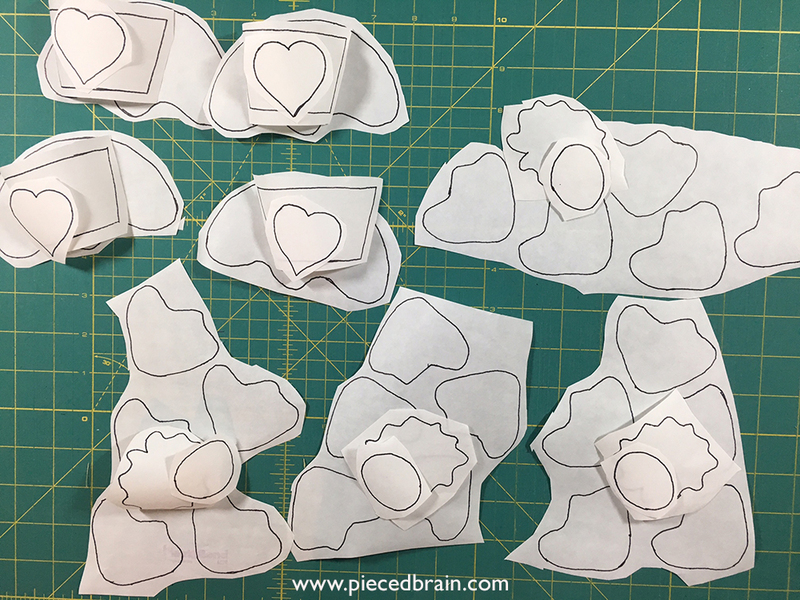 ), I paired them with the background blocks, put my feet up, grabbed sharp scissors, and cut the shapes on the outline. Machine applique' using blanket stitches is easy. I chose white thread so all fabrics would stand out. 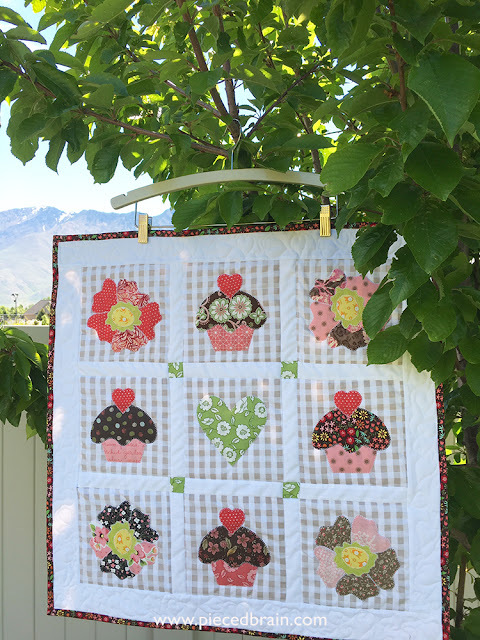 Speaking of fabrics, the background is by Riley Blake Designs - perfect for this project because it reminded me of picnic tables. Love how the blocks turned out! Oh, yes. 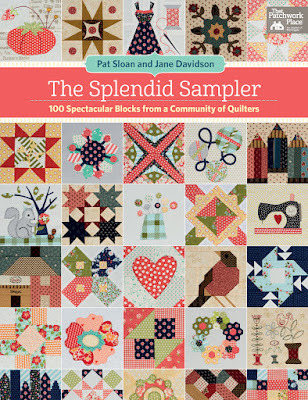 I got the blocks from the book The Splendid Sampler - 100 Spectacular Blocks from a Community of Quilters, by Pat Sloan and Jane Davidson. 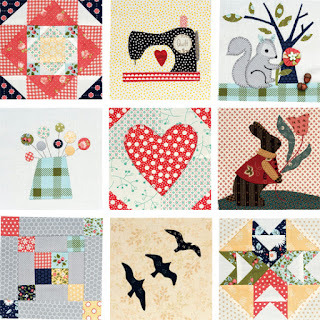 Two of them are featured on the cover: the heart (I chose to make the block without the corners) and the rose, both by Pat Sloan. 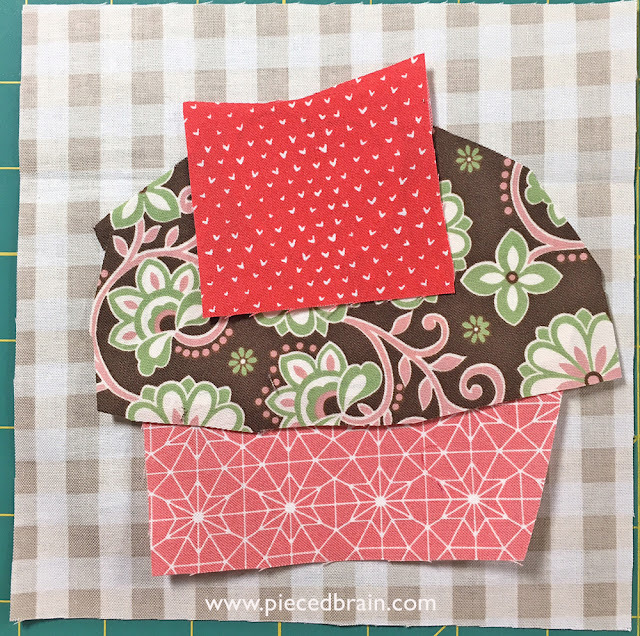 The cupcake was contributed by Kim Christopherson, and can be found on page 76. 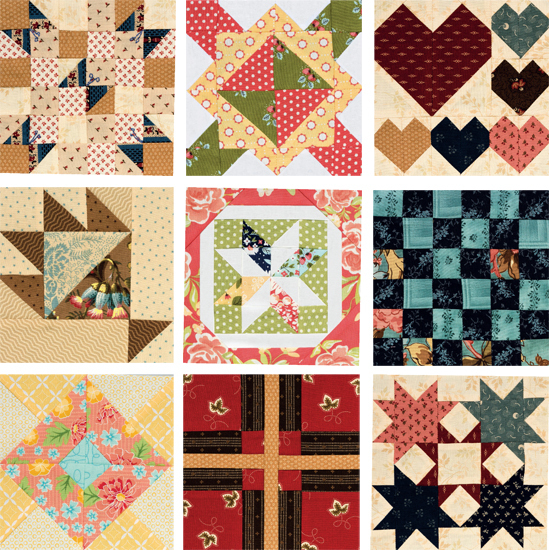 The blocks are very unique and can be pieced, foundation pieced, embroidered, appliqued, or hand pieced as in the case of English Paper Piecing. Many of them show an alternate colorway, opening our eyes to all their possibilities. There is a gallery at the end of the book with beautiful quilts showcasing the blocks, although I think the usefulness of this book lies in the ideas that pop in our heads for combining them and creating our own masterpiece. You can find tutorials for the techniques used by referring to the back of the book or by going to The Splendid Sampler website. On the website you will also be able to find out more about the 83 designers who contributed blocks for the book. 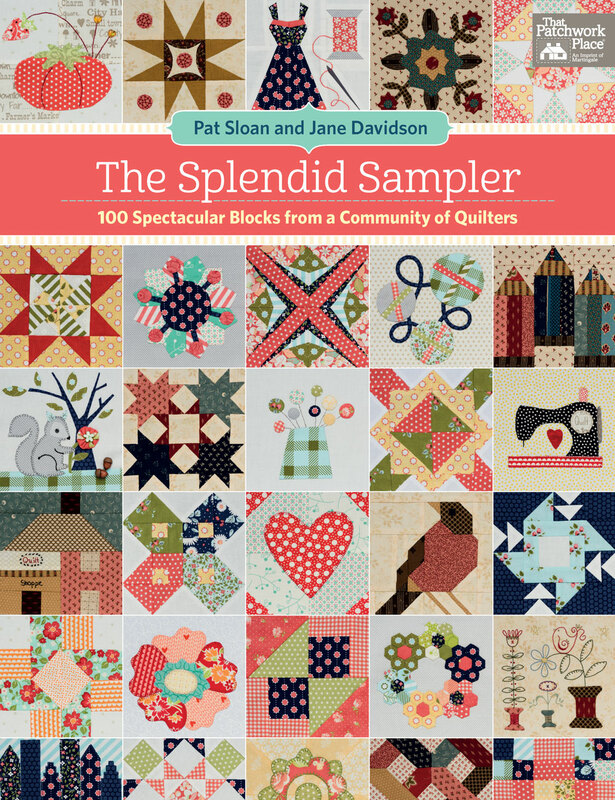 The Splendid Sampler project lasted for over a year, [virtually] bringing together over 23,000 quilters worldwide to learn and experience the joy of making each block and turning them into amazing projects. What great fun! I do not feel I am late to the party, though, because I get to enjoy all the blocks in the book published by Martingale, available on hard copy and as an eBook. When I sew during the wee hours of the night it is easier to choose blocks (not design them), choose fabrics (thus the need for a large stash, husbands! ), and just sew. Flowers, cupcakes, and love are all icing on the cake! 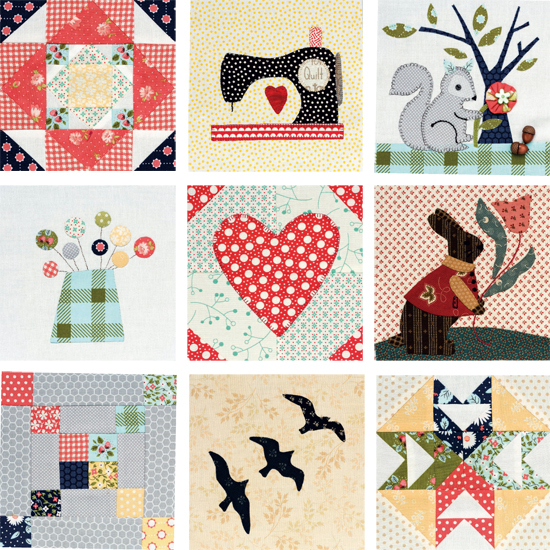 Your quilt is amazing; especially for creating it all in one night! I am so glad that you shared it with us. It really inspired me. Have a great day! I know, right? Simple applique' motif but so darling!